Each autumn/ winter i treat myself to a new coat. It’s a time i really look forward to and i take great pleasure in looking through different styles and types of coats and jackets. Having bought at least one (more like 2 or 3) coats each year for the best part of 10 years, you can appreciate, i have a lot of coats. So this year i am going to buy just one reeaaally nice one. Ok so i’ve said the word coats so many times now its starting to sound funny. What a BEAUTY, right?! Such a statement in itself, this little beauty needs to be on my back!! Because, lets face it, it rains A LOT in the UK, pretty much all.year.round. 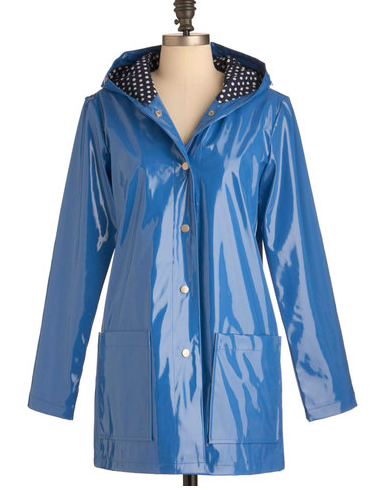 This coat would get a hellova lot of wear i reckon! 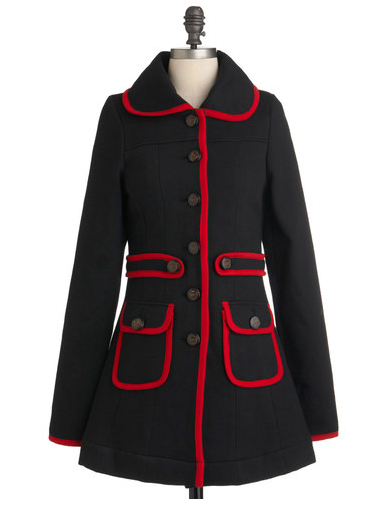 I have 3 duffle coats already, but the checked cheerfulness of this baby makes me want to add it to the duffle collection! I love me a bit of polka dotty spotty fun. This is a happy days coat! For those days when all you want to do is wrap yourself up in your duvet, i think this would feel that good! I really want to buy each and everyone! Help a girl out, which do you think ?? Do you like coat shopping? Oh how I love coats! But living in CA we don't always have much use for them. I'm loving the polka dot one and the black & red one. Great finds! I'm totally in love with the 2nd coat and that polka dot coat is TOO cute! I totally want the Met Your March Coat coat for myself but since I live in AZ, where it would probably never get cold enough to wear it, I think you need it! You have fabulous taste in jackets! 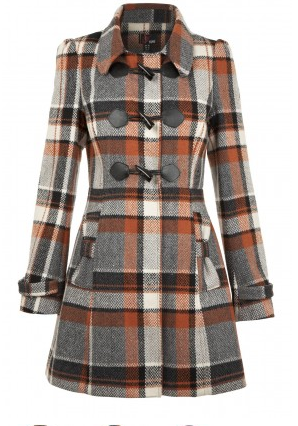 Ohh, I am swooning for the checked duffle coat! Hmmmm, decisions decisions! That first coat is sooo you! 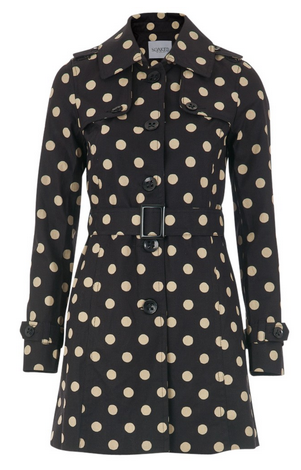 But then, I think you should have the polka dotty mac too! I absolutely love the first coat. 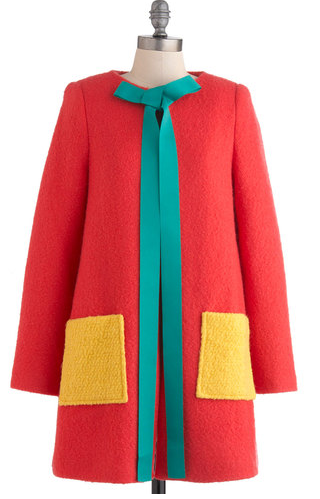 They are all great, but if you don't already have a bright, standout coat, I'd go with that one. I'm a coat fanatic too. In part because I am so tall that if I find one that fits my long arms I feel like I *have* to buy it. And in part because I like being warm and dry. 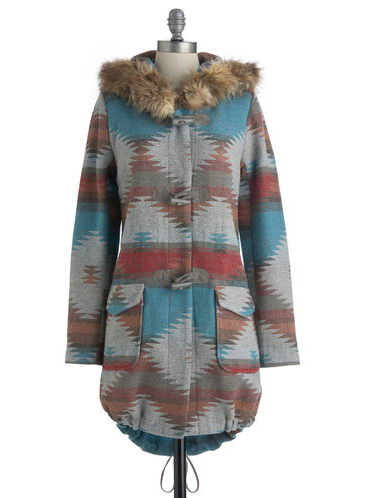 I like the The Enchanting Illustrator Coat and the Tularosa Coat in Dusk. I looove the last one. What a beauty! Hands down, the first one, charming illustrator. Where is it from? It's insane in it's beauty! I can totally see you in it. ha ha I am the same I like a new winter coat every winter lol! I totally need a new coat this year, one of mine is stupidly big on me and the other falling apart. I love the first and last. I looove the polkadot one! It is so cute, I would definitely pick that one if it were me!